Renewal by Andersen window replacements are the new improved-quality replacement window now offered by Andersen Windows. Andersen is a name that has been around for a long time and is respected by homeowners. Only a few years ago Andersen windows offered a vinyl replacement window that was sold as a good quality vinyl window and the answer to everyone’s energy saving needs. Swarms of homeowners replaced their original windows without thinking. Andersen window with WRONG color placement. Now ten-fifteen years later these disposable and hazardous windows increase the size of landfills across the country. The windows were only temporary. Good news – now there is a better quality vinyl window than Andersen’s Silver Line – Renewal by Andersen. They now call if Fibrex but it’s still plastic. After promoting their windows as being so good, now Andersen realizes they weren’t that great. But now, their new and improved version will last longer and has a warranty for 20 years, but there is some fine print. 20 years for glass and the seal that contains it. 2 year warranty for improper installation. 10 years for components other than glass. What is not covered is normal wear, painting, improper washing, fading due to normal weathering, harsh cleaners, structural settling. It is unfortunate, but most homeowners would prefer to buy a window with a questionable 10-20 year limited warranty than maintain their original windows to last 200 years. Why? – because it’s easier to replace than repair. Also in this sad world many homeowners do not care what happens to their home after they’re gone. How long will it be before Andersen Windows admits the Renewal by Andersen line also falls short of expectations and market a new model? It doesn’t matter. Once your original windows are replaced, window manufacturers have a customer for not only the life of the homeowner but also the house. What a brilliant scheme! With the high price of energy, homeowners are more conscious of their heating bills and the trend to be “green”. No one thinks of the dangers of vinyl or how all these replacement windows fill up the landfill each year. Manufacturers issue reports showing how much energy savings one could expect if they buy their windows. Homeowners do not question this information for it’s just what they wanted to hear. They fit the bill of the perfect consumer. The report looks important and throws around a lot of numbers that are pretty confusing so it has to be good. However, independent studies having no affiliation with window manufacturers show us different results. But what good is an independent analysis when there is no salesperson to sell it? The manufacturer’s information is everywhere – we can’t escape it! You don’t get the real story from a commercial when a manufacturer has a financial interest. The manufacturers have the money to bombard the consumer with THEIR studies that THEY paid for. So instead of maintaining their original windows, homeowners fall for this hook line and sinker and end up replacing all their old windows. If for some reason the homeowner is hesitant, they really don’t have much of a chance. These salespeople are highly trained sharks. A homeowner should expect a lot of pressure from a salesperson who is under pressure from their boss – all making a high commission off you. They want you to make an immediate decision and make an offer with a price difficult to refuse. Salesmanship is both a science and an art and the rewards are justifiably high. Get me away from these sales people! The following are Andersen window complaints, however other companies are seldom different when it comes to making money and making the best of a sales opportunity. #1 Homeowner)I scheduled a sales rep to come to my house online. I received a call back to set up a time. First, they would not make the appointment unless my wife was home with me. I told them it didn’t matter because we are just looking for information and I would relay any info to her. They did not accept that so I had to inconvenience my wife to make the appointment. After a two hour presentation, much of it asking about how my wife and I met, I was told the pricing of $11,940 for 6 windows. It’s a good window but come on! The rep told me if I said yes on the spot it would cost $8,955. I said I would not decide anything that night. #2 Homeowner)HORRIBLE scheduling protocols for a single female home owner. After speaking with the woman on the phone they said they couldn’t schedule the appointment without others in the family present. I was polite and said that it wasn’t necessary to have anyone else present. She said can we look at a time that will work, and again I said No. I proceeded to explain to her that I am the sole owner of my home, I am the decision maker, I needed the exact same product for the remaining windows of my home. She insisted that my brother, who rents a room, and my boyfriend need to be present. Now i’m pissed, so I then asked to speak with a manager because these are ridiculous protocols considering my circumstances. The manager begins to say the EXACT same thing word for word like a broken record. They DENIED A CONSULT WITH ME and lost $8000 in revenue due to a Protocol implemented. I am NOT willing to budge on this, this is MY home and MY sole decision and no one else needs to be present. 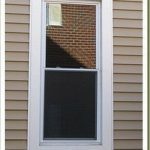 Don’t Fall for the Replacement Window Scam! Do you want to read the real window comparison study? This report is not trying to make a product sound good so you will want to buy it. It’s just plain facts (maybe not that plain but facts). 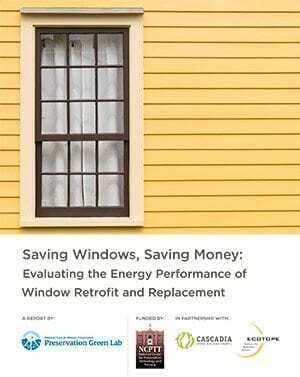 Read the Energy Performance Window Replacement Report. There are class action law suits and many complaints on the internet for you to read. Just do a search for a window company of your choice with the words complaint or law suite. Consumer Affairs has a listing of good and bad reviews of window manufacturers for you to read . I consider myself an environmentalist and am all about saving energy but when it comes to appearance, that takes precedence. Unless you have some fancy windows, the majority of homeowners think of windows as windows. They do not realize the importance of a windows appearance and all the many factors that affect a windows appearance. Window manufacturers websites only show images of what the interior of a replacement window looks like. They don’t want you to see the exterior for good reason. For a good education read the Shocking Truth about Windows and understand every word. Renewal by Andersen and many other replacement windows have enormous design drawbacks too. 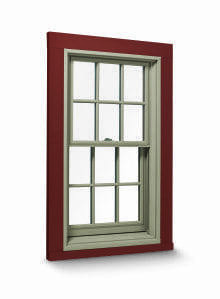 Read about paint color and design issues of replacement windows. How about Pella Windows ? Remember, once you replace your original windows there is no turning back. You will be a regular customer. So what do we do to REPAIR our old windows instead of REPLACEMENT? WHO DOES THAT IN THE YORK, PA AREA? HOW COSTLY IS IT? There is a page on window repair and a listing of window restorers across the country. Prices vary depending on your location. 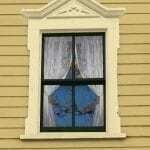 I am consulting for a house in NJ and to restore an 1840’s window the cost is $950. for one window. On the same building a replacement window needed replacing and the price for the Kolbe was $2500. If you cannot find someone on my listing in your area, contact your State HIstoric Preservation Office and ask for a listing of qualified architects and consultants. Contact them for a local referral. Sadly I made this mistake and replaced some original windows. Other than easy to open and clean, I hate them. And I have had several seals go bad in the past year, at 4 – 6 years old. Marvin is a good window. Please read the articles I wrote on Marvin and Kolbe. Sorry to hear about your problem. My suggestion will not help you because your replacement windows are over 20 years old, but for homeowners that have replacement windows less than 20 yrs old, and have seal failure, identified by mildew forming inside the sealed glass, take a (phone camera) picture of the data plate at the top of the window, one for each window you have this problem with, as the data on the data plate identifies the size and material of the window for the manufacturer (they keep logs of each purchase by window), and send this to the manufacturer or if you know the original installer, take the photos to them. No one came out to verify the damage. I have had two windows replaced for free on a 12 year old install for my house, I picked up the replacements at the orig installer’s business office (about 4 weeks for them to come in) and put them in myself (super easy, 2 minute job). I suggest you do a good inspection of each window as you approach the 20 yr mark. Sorry I couldn’t help with your personal problem, you may have to shoulder the cost of new windows, having exceeded the warranty. Nothing pisses me off more then a company (ACRE WINDOWS sales for Anderson Windows) hangs up on me. You don’t get to come to my house, present this long dissertation about your products, tell me my ONE window will be over $11,000 to replace, then suddenly tell me a week later that I HAD to give them 15 minute appointment so to give me a wonderfully new low price. When I was trying to explain why I had to say no to another sales pitch, “Eric” hung up on me. I called them back only to hear from another costumer service rep say she was sorry I was having a bad day in the utmost of condescending tones. You want to say I’m having a bad day……yeah now I am….. So screw you ACRE REPLACEMENT WINDOWS! Shove your $11,000 windows. My house was built in 1976, and we added a 3 season room in 1986. All of the windows in the house were Marvin. They were not primed and we opted to just stain them inside and out. The inside window could be removed so we could easily clean the “storm and screen” after all these years they are still looking good…great. However,the three seasons room’s windows just rotted away, they were replace this fall with …you guessed it “Marvin”. 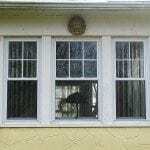 Has it been heard of today for someone with great woodworking and historical knowledge to remove a replacement window and totally mill, glaze and install their own window sashes, the way it used to be done? Are there building codes that disallow that today? I don’t know about building codes for windows but I have a listing on my website with people that repair and replicate windows. I’m all for energy efficiency, but I think a lot of manufacturers try to dupe customers with spurious greenwashing statistics. I would much rather restore historic windows, if I had them, than install these damn ugly plastic replacement windows. They may save energy now, but what is the energy cost to manufacture? You state:”However, independent studies having no affiliation with window manufacturers show us different results,” but you don’t give a link or list a name or source for independent window studies. It would be nice to have an objective, scientific comparison of windows in addition to anecdotal evidence and stories from very small numbers of dissatisfied customers and seemingly no reviews of people who had good results with andersen or bad results with marvin. You just need to read my windows pages. We live in a home built in 1958 in a historical district in Scottsdale AZ with 10 steel casement windows with 2 or 3 of varying size. They are the originals. Most people in our neighborhood have replaced the old steel windows with vinyl. I am going to keep what i have and restore them to there original beauty, but before i made that decision just for the hell of it we had Renewal by Andersen come out and give us a quote. They have a commercial they run here about 10 times a day touting how good there FIBREX windows are and how bad everybody else’s plain old vinyl windows are (there all junk). So we had to choose all the styles options etc and listen to the whole speel, demonstration and all. Took about 2 hours. $39,000 for 10 windows! The salesman looks at me and say’s is that to much? I said of course it’s too much! Are these things gold plated? So he gets it down to $33,000 with some specials and promotions. I had to ask him to leave, just ridiculous. Buyer beware! I am looking for someone in this area that can come and restore what i have. They were good quality back in 1958 and still are but i would like to upgrade the glass since it’s 60 years old and whatever else to make them a more thermally efficient, plus were gonna go with good quality shutters on the inside which will help. It gets hot here. If you know of anyone in the Scottsdale area that does window restoration, Let me know. 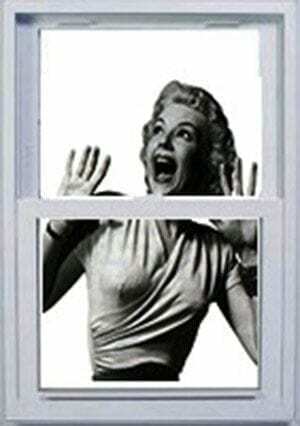 Just get a storm window with low e glass and you will be all set. So, i have a question, what happens if the home i bought already has windows that are falling apart? I bought my home last year, it was built in 2006, in las vegas. They are aluminum i believe? Not vinyl, but they don’t even seal and the dryness heat is ridiculous here, 3 of my blinds have melted. If your house already has bad quality windows from mass produced newer houses, i have nothing good to restore! What’s the best route in this case? Yes the original builder grade windows today are junk. I would replace them with Marvin or Kolbe. I know if you contact Anderson they will not leave your house unless they make a sale. Avoid them. Never get muntins inside the glass. You may as well just paint them on and you will not only get the same look but you can change the color. Garbage! If you can have the right kind of muntins don’t get them at all. my house is about 120 years old but in a neighborhood of all new large homes. We just agreed to have 4 of our wood windows with weight and chains replaced by anderson renewal. We are doing it not because the windows don’t operate well but because the storms and screens are ugly and make cleaning so difficult. We’ll see how it goes after the 4 are done and decide on finishing the rest of the windows. Honestly I love the idea of maintaining the originals but so much work! We actually had someone take a few windows to scrape, caulk and repaint and we installed copper lining to the sash, now those windows are difficult to open. Old windows also contain lead paint and need to be treated with lead abatement paint. Not sure how long that paint will hold up. And then there is resale where lead paint, and storm windows are going to be an issue. So sad – the salespeople really got to you. i live in NJ and feel that air is passing through windows, condensation, water marks on edges of glass. So thought I would need replacement. Called RBA, after inspecting the cost came upto 42k, ridiculous. Can I know what are my best option. House is 21 years old, windows are never replaced and they are vinyl made. That is good that you got 21 years out of vinyl windows. Remember that vinyl windows are disposable. Maintenance Free means cannot be maintained. 42K sure is a lot of money to invest and if you do they will still need to be replaced again. Your best bet are wood windows but I’m not sure what you need to do to the window frames to hold the wood windows. Give https://www.heirloomwindows.com/ a try. Looking to replace 23 EZ tilt Marvin double hungs. 30+ years old/ drafty/brick mold,sashes etc.are rotting. RBA came in @ $48000. Would restoration(complete) be less cost and better option? Or Marvin Integrity? Any help would be appreciated. My zip code is 01060,for restoration company options. Hi Jake – it depends if the windows are wood they can be restored. Look at https://www.oldhouseguy.com/window-restorers/ for a window restorer here. If they can restore the window it would definitely cost less. Sorry I am not familiar with Simonton. What ever you do only get a replacement sash not the casing etc or it will look awful. It seems like there are problems with all window manufacturers. Don’t ever do business with this company. They don’t give you their contract up front, but email it and you are the one responsible to read it immediately. They don’t even mention that. They are 3 times the going rate off replacement windows. Their sales call is twice as long as you are told and you are told sign today to receive more off. They avoid questions and go back to their sales pitch. As it turns out you have three days to cancel or you are charged 25 percent of the total cost. Their Marketing Director will tell you, “How is it our fault you didn’t read the contract immediately.” It is sent in PDF form and no where says open and read immediately. The red flag for me went up when their loan bank sent me a letter saying I was borrowing $5000.00 more then I was quoted. I was also threatened by their Marketing Director. One with slander for telling the truth and two with posting an email taken out of context on social media. I learned the hard way. Don’t You! Go directly to Andersen window or one of the other well established brands. We’re trying to determine our path for our windows. We’re the original owners of our 30 year old house. A few months after our closing, the window manufacturer Reuten Klein went out of business. Through the years we’ve replaced thermal panes for 17 of the 19 double hung wood windows. We’d drop the sash off at Cooper Glass for measuring, and then return the sash to the window and wait a week or two until the pane was ready. Then we’d return to Cooper Glass and the panes would be swapped. Once home, we’d return the sash to the window. The two remaining windows need the panes replaced. Cooper Glass is out of business. Also, a number of windows have jambliners that have become brittle, shoes that have broken allowing the spring balance to become jammed and motionless in the jambliner making it difficult to operate the window. The search for replacement jambliners has been tiring. The jambliners that we’ve located online don’t have the same profile as ours such that they wouldn’t mate with our windows. We were unsuccessful with Blaine hardware and Windowrepairsystems.com. After 5 years we had the thermal panes replaced on the sliding glass door. Then in 2006 we had that door replaced with a beautiful Pella slider including a third pane to house the duette shade and removable grille. They did a great job and in 2009 we opted for two beautiful Pella entry doors. We’re not enamored by the Pella windows we’ve seen and aren’t keen on spending $50,000 for Marvin, not including installation. Andersen Renewal is cheaper but we weren’t sold on them either. We’d prefer to replace everything right to the studs if we have to replace. Do you have any suggestions? Hi – the jambliners seem to be the big problem. For old windows there was just a channel – nothing fancy. The manufacturers today want you to replace everything to be able to use their windows. I’m sorry but I really don’t know what to say. Hopefully some of the readers will have some suggestions.